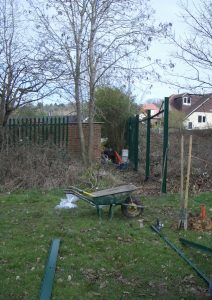 Phase 1 of the New Hut Project started this morning. Hillingdon Council has given us permission to extend the width of the site by 8 metres on to the Hogs Back Open Space. Our contractors have begun the process of moving some of the existing fencing and adding in extra sections to enclose our new, larger compound. Over this coming weekend, a team of volunteers will be starting the task of moving some of our equipment from the hut to storage locations around the neighbourhood. We aim to have most of our equipment moved off site by Jumble time, so that we can start major works immediately after. ….. we launched our £100k appeal! We have amazed ourselves by our own success; the total to date is £88,800 with more in the pipeline. For example, we are one of the Mayor of Hillingdon’s charities of the year and her term of office doesn’t end until May. And don’t forget our very own Quiz Night this coming Saturday, 3rd March which will add more to the coffers. We received two early Christmas presents in the form of donations towards the New Hut Appeal . 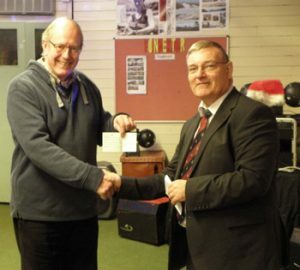 The first was on Wednesday 20th December; Andrew Retter, a Director of Fassnidge Trust, presented a cheque for £1,000 from the Trust at the Group’s December Committee Meeting. In his address, Andrew said that most of the charitable work done by the Trust is directed towards the elderly, but they also reserve some of their funds for especially deserving Youth Projects. Andrew has a long association with 1st Northwood Scouts. Then on Saturday 23rd December, One Stop, the grocery store in the centre of Northwood, presented a cheque for £2,000 as part of the Carriers for Causes scheme. 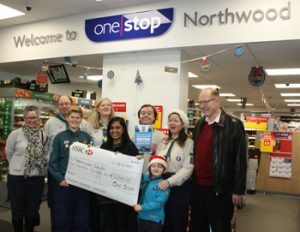 The cheque was presented by Karishma Mehta on behalf of the store, and was accepted by Mike Bennett, Group Scout Leader. The Hut Appeal Fund goes from strength to stremgth – our most recent large donation was £5,000 from the Metropolitan Masonic Charity, following an earlier donation of the same amount from Middlesex Masons. 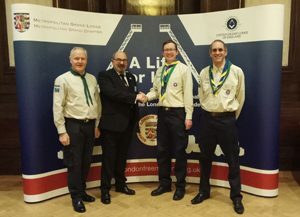 Paul Medlycott, Leo Mindel and Stephen Plume represented us at Freemasons’ Hall on 29 November, where they were shown around the very impressive art-deco building . We are very grateful to their members for the donation. Other recent donations which have helped boost the fund to an amazing £80,000 are: Aviva (£1k), Tesco Bags of Help (£2k) plus smaller amounts from Phoenix Ladies’ Club, Holy Trinity Church Autumn Fair, Nisa Local, MK Charitable Trust and Northwood Hills Residents’ Association Big Switch On event. Thank you everyone! Thank you, Lions – again! 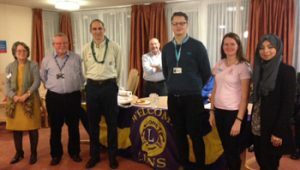 Northwood Lions Club held one of their twice-yearly presentation evenings on Thursday, 9th November. The Lions raise an incredible amount of money at their Saturday morning market, all of which they distribute to local charities. This time the recipients were Northwood Live at Home Scheme, Orchyd, Paul Strickland Scanner Centre, Mind Hillingdon, New Hope Charity and 1st Northwood Scouts New Hut Appeal. 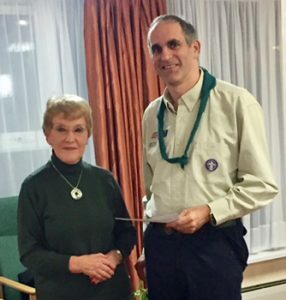 Leo Mindel received a cheque for £2,000 from Olive Fairclough on behalf of the Group. To find out more about the Lions and their fund-raising market click here. Thanks to your great efforts and determination, ours has been confirmed as one of first projects in the £1,000 funding level to reach 1,000 votes in the Aviva Community Fund competition. As a result we shall receive £1,000 for the New Scout Hut Appeal Fund. This brings the total raised since 1st March 2017 to ….. £72,000!